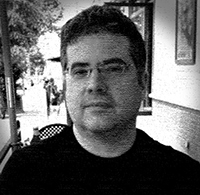 The pullback is a trade intended to enter a trending market. 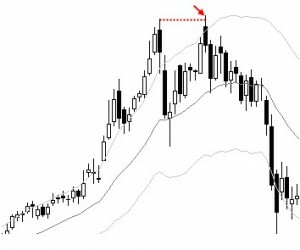 Pullbacks may occur at the beginning of a trend, in the middle, or at the end. Pullbacks seek to capitalize on the fundamental nature of trends: the alternation of with-trend legs with counter-trend pullbacks. There are severl ways to enter pullbacks, but the most common are probably to enter as the market turns back into the trend (on a breakout of the pattern) or somewhere near the bottom (on a failure test). Simple pullbacks have one counter-trend leg. Complex pullbacks have two or more counter-trend legs, and can be thought of like this: A trending market turns into a pullback. The pullback makes an effort to resume the original trend, and that effort fails. The market then rolls over into another pullback leg, and a second (or further) attempt to resume the trend succeeds. 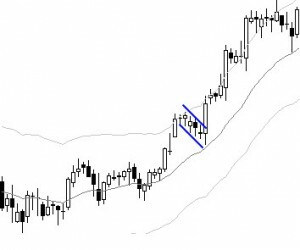 Complex pullbacks present challenges and risks to trend traders, because traders are often stopped out when the first attempt to resume the trend fails, but powerful trend moves can develop from these structures. The failure test (also called a bull or bear trap, spring or upthrust, or a 2B trade) occurs when a market attempts to move past a previous pivot point, trades beyond (“tests”) that point, but quickly reverses. 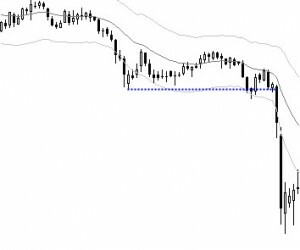 This trade capitalizes on the tendency of markets to seek volume, and to attempt to trigger stop orders, and also on the possible capitulation of traders playing for continuation past the previous level. A failure test is a type of failed breakout, and is a counter-trend pattern that offers a precise entry point with clearly defined risk levels. 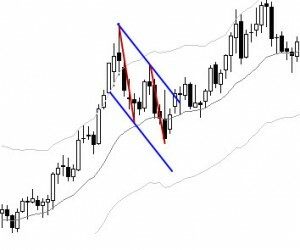 Linda Raschke coined the name for this trade, and there are several ways to define it based on patterns on indicators and on momentums of various timeframes. However, these indicator considerations are secondary; the most important elements here are structural : the Anti is essentially the first pullback following a trend change. The ideal sequence is an established trend shows signs of potential failure (climax, overextension, etc. ), and then experiences the first, sharp counter-trend shock. The Anti then occurs on the first pullback following that large shock, and may be the first pullback in a new trend. 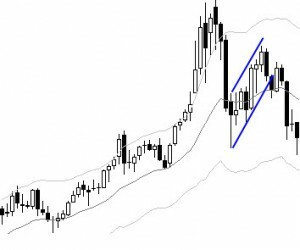 There are ways to trade this pattern in ranges, or around other structural points. As with all trades, risk management and a disciplined approach to profit taking are essential. Breakouts are a group of trades that look to enter a market when they beyond a previously defined support and resistance point. Breakouts may be entered at the point of breakout, or either before or after the breakout. Some traders use the term “breakdown” to refer to a downside breakout, but other traders will use breakout for both long and short trades. Though these trades can represent meaningful opportunities, they also bring risk and volatility to the trading book. No other class of trades requires as much disciplined, rapid decision making as breakouts. Breakouts can also be traded within or in conjunction with other technical patterns.